Many Christian retailers understand the concept that the gift category generally offers them a higher profit margin than other products in their store. In many cases, however, those same retailers don’t understand the merchandising strategies within their four walls that will help them maximize additional profit margins on their gift lines. It’s not enough to purchase gift items that may offer great profitability. Using effective merchandising techniques, the retailer must also “sell” those gifts to his customers to realize those additional profits. My years spent in grocery retail provided a significant educational opportunity in the do’s and don’ts of merchandising products for maximum sales potential. Cross-merchandising from one product to a different line helped customers develop a “need” for the product in their minds, providing additional sales for the store. When I transitioned to Christian retail, my store sales doubled in the first year as I applied many of those same concepts. 1. Customer service. This should be at the top of every retailer’s priority list. It doesn’t matter if you are selling gifts in a Christian retail store or popcorn at a movie theater; your ability to provide not just great but “extreme” customer service will be the key to your success. Many retailers do a great job in buying and merchandising, but because they fail to focus on customer service, their store ultimately fails. Nothing can take a store down the wrong path faster than poor customer service. At the same time, offering extreme customer service can make up for a lot of other areas in a store that may not exactly measure up. I have seen stores that are not merchandised well price products 5-10 percent higher than their competition, but because of the extreme level of customer service they provide, their customers keep coming back. Customers know they can trust the store to treat them well. Always, always, always make customer service your highest priority, and many of your other retail issues will, most likely, take care of themselves. 2. Cross-merchandising. Many retailers in our industry believe all you have to do is set a gift item on a table or display, and it will sell. As a gift supplier, I wish that were the case, but it rarely happens. We must take the time to really think about the gift item we are merchandising and determine the best location and method of displaying it. 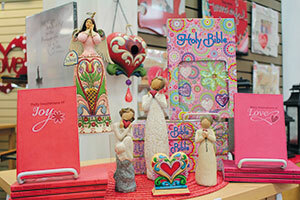 Most Christian retail stores have common departments, like books, music, church supplies and gifts. Unfortunately, most of our customers do not walk up and down every aisle looking for something to spend their money on. Most of them are not only destination-location shoppers but product-specific shoppers as well. They know what they’re looking for when they walk in, and typically, the customer will find the item, buy it and leave without spending additional time in the store, so strategically placing products that allow customers to see the variety you offer is very important. For instance, many stores keep all of their Bible covers in a nice little area off to the side, yet somewhat away from their Bibles. What if you took a few covers and mixed them in with your Bibles? This “suggestive selling” approach usually will increase cover sales. When you sell one, replace it immediately. Try different styles, colors and designs, and soon you will find a few that do very well when cross-merchandised with Bibles, tabs and highlighters. Men’s ties, wallets and other gift items can be cross-merchandised with a men’s best-selling book. Handkerchiefs, nail files and journals for women could be merchandised with the newest book by Bible teacher Beth Moore. The key is to get outside of the traditional gift area of your store. By moving gifts into other areas, you significantly increase the probability of selling them. The key to building impulse purchases and other gifts is not to hide your gifts in the far corner of your store but bring them up front and center. Grocery stores are a perfect example of how this concept works. They place milk, bread and other low-margin, high-demand items at the back of the store, forcing customers to walk by many other items in the process. At the same time, they place magazines, candy and similar items in the point-of-sale areas because of the high profit margins these items carry. Major chains have proven that retailers have the ability to influence their customers’ purchases simply by product positioning in the store. Merchandising is an art and a skill. It takes someone who has a flair for making products look appealing to the customer and who can identify the right products at the right time to focus on. Profitability comes when the merchandising art and skill meet together, causing the customer to make that purchasing decision. 3. Cleanliness. One of the biggest mistakes and, honestly, turn-offs I’ve experienced while shopping is the lack of cleanliness. This may be one of most neglected aspects of retail stores. Managers tend to be more concerned about displays and signage, which are also important, than with the cleanliness of their stores, but customers tend to stay longer, shop more and, ultimately, purchase more when the environment is neat and tidy. Dusty gifts, shelves and displays will drive most consumers away from making that purchasing decision. I’ve heard store managers and owners say, “I’m so busy with customers, stocking and ordering that I don’t have (time) to clean.” My response is, “You don’t have the option not to clean.” If retailers fail to keep their shelves and products clean, it will always negatively affect sales, not just in the gift area but throughout the store. Donna Baker, president of Dightman’s Bible Book Center in Tacoma, Washington, concurs with the value of the three C’s. These tips make up the secret to successful gift sales. It sounds simple, doesn’t it? Well, it is. Many who read this article will say, “Of course, I knew that.” But unfortunately, just because we know something doesn’t always mean we make it happen. So let me encourage you as a store owner or manager to take the time to focus on these three C’s that will help you increase gift sales in your store. Make time for each of these points, and when you do, you will see a boost in your gift sales. 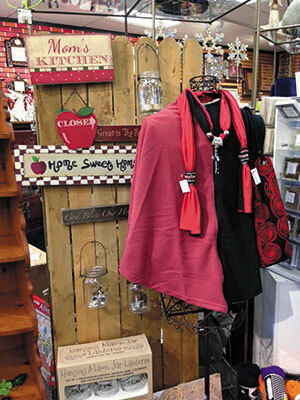 Kathie Kregel, owner and gift buyer at Kregel Parable Christian Stores in Grandville, Michigan, takes the big-picture view of sales at her store. There is also a fourth C: commitment. As a leader, you set the standard with your store staff in all of these areas. Therefore, your level of commitment regarding customer service, cross-merchandising and cleanliness will determine the level of commitment each of your staff has in these areas. It’s not as easy as just putting a gift item on the shelf to sell. It requires a thought process, and it requires you to take the lead in all of these areas by setting the example, the expectations and the execution of these three C’s to increase gift sales. John McKinney Sr. is vice president of Swanson Christian Products (swansoninc.com) in Murfreesboro, Tennessee.